Noted Italian horror-meister Dario Argento returns with 2013’s Argento’s Dracula. Set in the small Eastern European town of Passburg, a prologue shows a mysterious attack on lovely young Tanya (Miriam Giovanelli). From there, Jonathan Harker (Unax Ugalde) arrives from England to work as librarian to Count Dracula (Thomas Kretschmann). There he reunites with Lucy Kisslinger (Asia Argento), the best friend of Jonathan’s wife Mina (Marta Gastini) – and encounters an awful lot of death and morbidity in the quaint little town. Mysteriously, the apparently-dead Tanya turns up as an occupant of Dracula’s castle; the Count refers to the village girl as his “niece”. Dracula strikes Harker as an odd man, but he works for him nonetheless – and eventually becomes one of the undead Count’s victims. Dracula’s desires escalate when Mina comes to town. She bears a striking resemblance to the Count’s long-dead beloved, so he sets his sights on her. We follow this path as well as the eventual arrival of the vampire-hunting Abraham Van Helsing (Rutger Hauer), perhaps the only source of redemption for all involved. Admission: Dracula offers my first encounter with an Argento flick. And maybe my last, as it does nothing to encourage me to explore the filmmaker’s repertoire. That’s unfair, as I shouldn’t judge a 73-year-old director on just one film; for instance, I wouldn’t want to dismiss Mel Brooks just because Robin Hood: Men in Tights stunk. Still, Dracula provides such a lousy movie that it doesn’t prompt me to want to see what Argento did in the past. 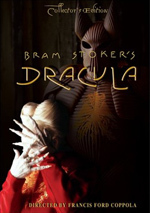 I really can’t figure out what purpose the movie serves, as it does nothing to expand/contribute to Dracula lore. If one wants to create yet another version of the Bram Stoker tale, one should probably find something new to say. Argento doesn’t, so his rendition turns into nothing more than the same old thing in tacky, low-budget drag – and not consciously campy/cheesy drag, as far as I can tell. Dracula boasts a modest budget of under $8 million but somehow manages to appear even cheaper than that; with poor production values and amateurish effects, it comes across like something a few college students shot on their free time with their iPhones. Okay, that’s an exaggeration, but not as much of one as I’d like. Virtually nothing about Dracula feels like a professional production, as even the notables in it – like Kretschmann and Hauer – can’t come across as anything other than Amateur Hour. Maybe this is part of the Argento Vibe. Maybe he likes overt “B”-movie fare and embraces the cheesy side of things. If so, he succeeds here. Some may try to defend Dracula as self-aware in its badness, but I don’t think that’s the case. I honestly can’t imagine Argento thought it was a great filmmaking choice to opt for terrible visual effects, as that would serve no obvious purpose. For instance, a scene in which a character becomes engulfed in flames suffers from arguably the phoniest-looking fire committed to film; what end would those awful effects achieve? Alas, those shots occur too infrequently to redeem Dracula. With bad acting, cheap effects, a slow story and dull characters, this turns into a thoroughly awful version of a classic tale. 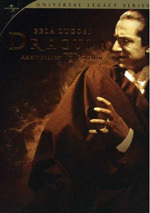 Argento’s Dracula appears in an aspect ratio of approximately 2.35:1 on this Blu-ray Disc. The movie came with an excellent transfer. Colors took some odd paths, as the movie embraced green and yellow overtones that seemed decidedly strange. Still, the Blu-ray replicated them well and represented the visual choices in an accurate manner. Blacks appeared dark and tight, and shadows looked smooth and concise. Sharpness dazzled. At all times, the movie displayed excellent clarity; even in the widest shots, it remained tight and precise. Outside of a short, somewhat shimmery shot of a web, I witnessed no signs of moiré effects or jaggies, and edge haloes were absent. Print flaws also failed to appear. Across the board, this became a strong image. Though not as impressive, the film’s DTS-HD MA 5.1 soundtrack also satisfied. Dubbing often tended to seem awkward, so some lines sounded staged and unnatural. Still, speech was always intelligible and clear despite the obvious nature of the looping. Music came across as vivid and bold, while effects showed similar qualities. Various sequences displayed effects that came across as full and rich, without distortion or flaws. The soundscape added decent involvement to the proceedings. Music offered nice stereo imaging, and the side/rear speakers contributed zest to the action. The various components seemed accurately placed and they meshed together in a smooth manner. The movie lacked the sonic ambition for “A”-level consideration, but it fit the story pretty well. On the disc, we get both the 2D and 3D versions of the film. My picture comments above reflect the 2D edition, but I want to touch on the 3D take as well. In terms of 3D usage, the film tended toward a general sense of depth. We still got the occasional “in your face” element – like an owl that flew at the camera – but most of the time, the movie preferred to provide a look that simply contributed extra dimensionality, and this worked pretty well. Picture quality did take a hit when viewed through the 3D version. Colors weren’t as full and definition could be softer. Still, the 3D edition showed positive visuals; these just didn’t match up with the top-notch 2D elements. Simply titled Behind the Scenes, a documentary runs one hour, three minutes and 53 seconds. It features screenwriter Antonio Tentori, production designer Antonello Geleng, art director Claudio Cosentino, editors Marshall Harvey and Daniele Campelli, stereographer Jean Antoine Delille, set decorator Marina Pinzuti, costume designer Monica Celeste, VFX supervisor Raffaele Apuzzo, SFX creator and supervisor Sergio Stivaletti, and actors Marta Gastini, Thomas Kretschmann, Unax Ugalde, Miriam Giovanelli and Rutger Hauer. The program covers story/character/screenplay areas, set and production design, editing and shooting 3D, props and costumes, various effects, cast and performances. While not the most elegant documentary I’ve seen, “Behind” touches on most of the appropriate bases and does so in a reasonably thorough manner. Add to that a lot of good footage from the shoot and this turns into a useful piece. Next comes a Music Video for “Kiss Me Dracula” by Simonetti Project. This mixes performance footage with film clips and unique Dracula-style elements with the Project’s singer. I’m not wild about the song or video, though I think it’s cool we can watch it 2D or 3D. The disc opens with ads for Dark Touch, +1, Haunter and Berberian Sound Studio. We also get two trailers - standard and “red band” – for Argento’s Dracula. After decades of vampire movies, Argento’s Dracula struggles to make a name for itself. When it does, this occurs because of the film’s depressing mix of dullness and cheap cheesiness. The Blu-ray boasts excellent visuals, solid audio and an informative documentary. While the Blu-ray satisfies, the movie itself stinks.